Join us for a relaxed evening of tutored and/or untutored life drawing sessions from 5th September - 5th December. Classes will resume on 16th January 2019 for Spring 2019. Do you have an artistic flair that you wish to explore? Are you a drawing fanatic who wants more practice? If so, these workshops are the perfect place for you! 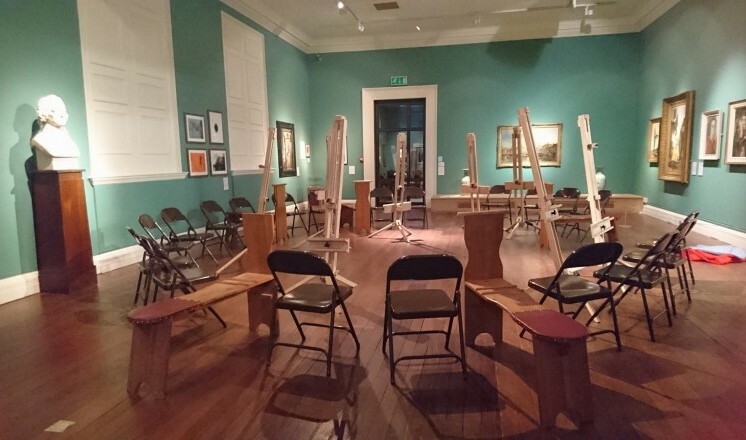 Our life drawing sessions offer the exciting opportunity to come to a relaxed environment in the Usher Gallery, where you can practice and develop your drawing skills and technique. It doesn't matter whether you're new to drawing or a seasoned pro, all abilities are welcome! We provide basic materials or you can bring your own equipment. For more information, email Ann at Ann.Worrell@Lincolnshire.gov.uk or call us on 01522 782040. The management reserves the right to alter or amend the event as necessary as a result of unforeseen circumstances. Bookings are non-refundable and non-transferable. Only in exceptional circumstances and subject to availability can your booking be changed. Please bring along your booking reference number, print out or your e-ticket. Prices are correct at the time of going to press and are subject to change without notification.